3/4″ Polyethylene Netting blocks birds from entering. Seal birds and other pests out of desired areas – permanently. Bird netting is strong enough to stand up to large animals including deer, coyotes, and dogs. PE Bird Netting 25 feet X 25 feet. PE Bird Netting 25 feet X 50 feet. PE Bird Netting 50 feet X 50 feet. PE Bird Netting 50 feet X 100 feet. Backed by our Manufacturer’s Warranty Against Material Defects and Workmanship. 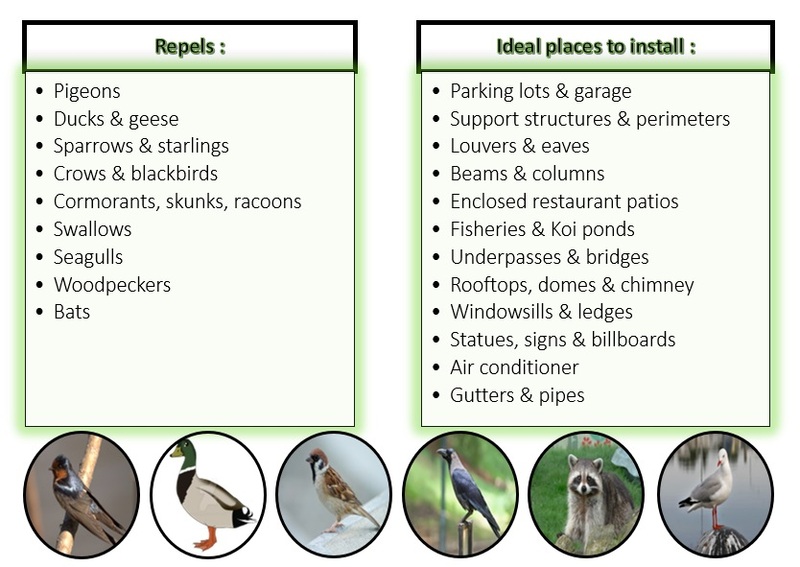 Recommended for excluding birds from specific areas, effective everywhere when it is properly installed.